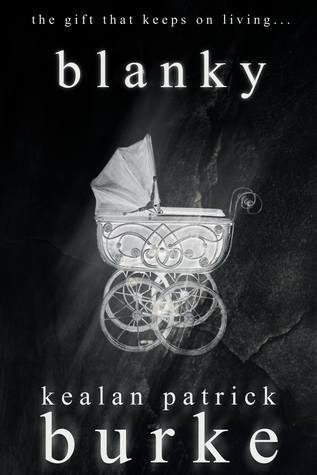 Another classic horror novella from the demented mind of Kealan Patrick Burke. Steve Brannigan had everything he could have wanted: a career, a home, a loving wife, and a beautiful daughter. All of that came crashing down one rainy evening when he found his daughter, Robin, dead by asphyxiation. The culprit: her blanket; the one they had purchased for her from an antique stall called BABY CLOSE. The blanket with the cute but oddly sewn rabbits and the frays that give it that homemade feel. Steve’s wife moves out and in with her parents, leaving him to drink his life away in the home where it all happened. A noise from upstairs stirs him as he is watching TV. It’s coming from Robin’s room but that can’t be possible. Steve opens the door and sees the blanket, strewn on the floor. Thing is, Robin loved that blanket so much that they buried her with it. What comes next is a mind-screw of a story, a rollercoaster of emotions, and revenge that never tasted more bitter. KPB is a phenomenal horror writer. The way he writes is like climbing a mountain: it starts off easy and then you reach the steeper incline. Once you get to the top, you get slew footed into an avalanche and come crashing back down to the bottom, spiraling and hitting each and every tree on the way down. He brings you into each story, thinking everything is going to be just fine, only to gut you slowly; keeping you alive while porcelain dolls play with your insides and animals gnaw on your bones. AND I LOVE EVERY SECOND OF IT. Since Halloween is just around the corner, and everyone needs a good scare, go grab a copy of Blanky or Sour Candy, OR BOTH, and curl up with the lights on. Oh, and make sure to lock your doors.